VAD-type Diverter Valves are the ideal solution for handling any type of material in powdery or granular form in pneumatic conveying lines. 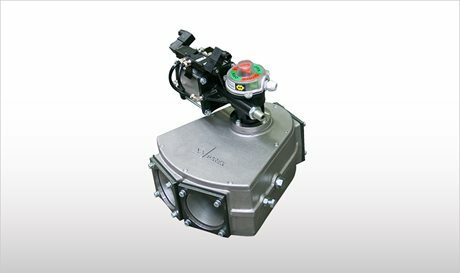 VAD Diverter Valves consist of an aluminium die-cast casing and a swivel flap that closes one duct or the other. Internal sealing of the body is achieved through low friction gaskets. Specific surface treatment is available to make the valves suitable for operation with different materials. VAD-type Diverter Valves are suitable for use in pneumatic conveying lines for handling any type of material in powdery or granular form. Through activation of the actuator direction of the material flow is changed. VAD-type Diverter Valves guarantee minimum pressure loss and contamination-free, pressure-proof operation.